Taichi Panda Official Forum • View topic - Ronda Rousey Pose Event! Do you have the will of a champion? Show you’re the real ultimate fighter in our new Ronda Rousey Fight Pose event! Join the Taichi Panda community in our newest Photo/Video submission event. Give us a look at your best fight pose and see if you can master the Ronda Rousey “fight face” for rewards including the Champion’s Will title and a chance at the Champion’s Set outfit! 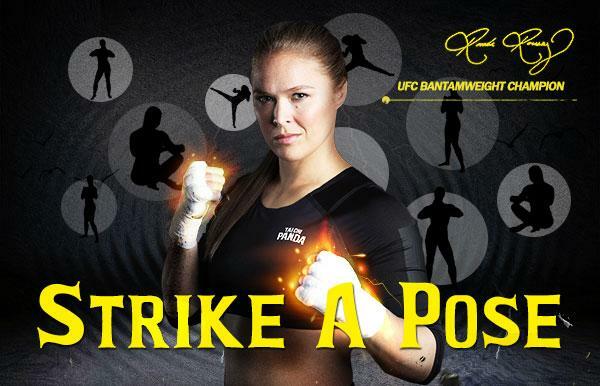 Snap a picture or record a short video of yourself striking your best fighter pose like our celebrity spokes-fighter Ronda! Upload the pictures/videos, or share the a link to them, in a post our submission thread, along with your IGN and Server. Only those submissions deemed valid by our community team will be eligible for rewards. All valid submissions will receive the “Champion’s Will” in-game title. After the end of the main event period, we will upload all submissions to our Facebook page for a FB Voting event. The submission with the most Likes, Comments and Shares from the community will be selected to win a free Champion Set outfit for their character! Re: Ronda Rousey Pose Event! After the weekend we've already had an incredible number of awesome submissions! We're so happy to get the community so pumped up, and wanted to thank everyone for their support! An important note on submissions - screenshots of in-game characters are NOT deemed a valid submission. 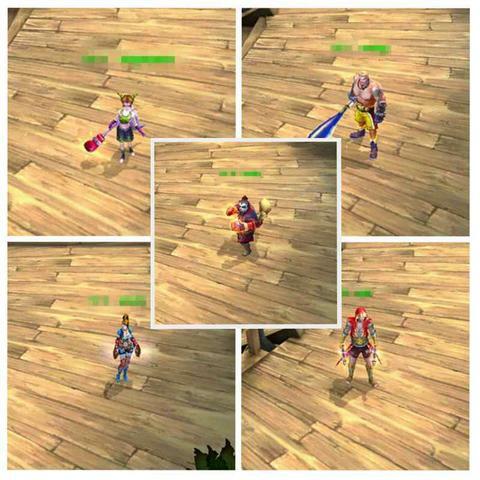 We are sorry if there was any confusion among the community, as some players have been posting pictures of their character in-game. Valid submissions should be real-life pictures, videos, or even fan art, showing you making your best Ronda Rousey fight pose/face. Fans who have already submitted screenshots of characters can still resubmit a valid submission to be eligible for rewards and to be selected for the FB voting phase! We recommend those who are looking to resubmit to edit their original post, rather than post an entirely new one on the already long and ever-growing thread! Thanks everyone and keep those submissions coming!